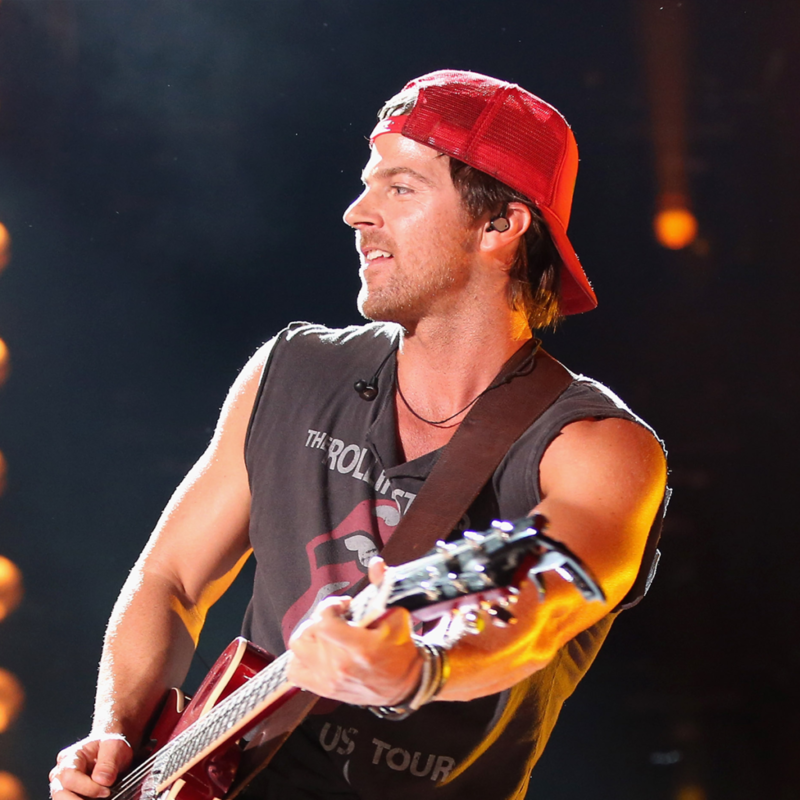 Over the last couple of years, Kip Moore spent most of his time on the road, building one of country music’s most loyal audiences show by show and plotting what would become his sophomore album, Wild Ones. He was a road warrior, living out of a tour bus with his bandmates and playing more than 200 shows per year. For a songwriter who’d grown up in a quiet pocket of southern Georgia, performing to crowds across the world — crowds that knew every word to his best-selling debut album, Up All Night — felt like a dream come true. Somewhere along the way, though, the highway became a lonely place. The routine was always the same: pull into town, play a show, pack up and leave. There was no stability, no comfort. Things weren’t much easier at home in Nashville, where Moore —whose first album had sent three songs to the top of the country charts, including “Beer Money” and “Hey Pretty Girl” —found himself receiving plenty of unsolicited advice from people who wanted to keep the hits coming…at any cost. From amphitheater tours with Dierks Bentley to his own headlining tours across America, Moore has spent the last three years learning what, exactly, his fans want to hear. He’s a genuine road warrior, armed with a live show that mixes the bombast and wild desperation of Bruce Springsteen with the rootsy stomp of Merle Haggard. It’s a sound built on space and swagger. A sound that bangs as hard as it twangs. A sound caught somewhere between blue-collar country music and stadium-sized rock & roll. And that’s the sound that Moore’s fans, who’ve already catapulted him to PLATINUM-selling heights, want to hear. When it came time to create new music for his second album, Wild Ones, Moore didn’t have to look very far for inspiration. He just took a look around, taking stock of the world as it flew by his bus window at highway speed. Moore wrote or co-wrote all of Wild Ones’ thirteen tracks, often teaming up with songwriters like Dan Couch or Weston Davis. More than a few songs were born on the road, where Moore found himself coming up with new ones during soundchecks, inside backstage dressing rooms, and in his bunk at night. He’d arrange the songs, too, coming up with bass parts, guitar licks and drum patterns in addition to the melodies. Sometimes, he’d write some lyrics, scrap them, then write a completely different set. The emphasis wasn’t on creating the largest catalog of songs in the shortest time possible; it was on funneling the feeling of a Kip Moore concert into a single album, no matter how much time it took. Driven forward by electric guitars and gang vocals, “Lipstick” is the album’s most heartfelt tribute to the road, with each verse rattling off a list of the favorite cities Moore and his bandmates have played in the past. Other songs, like “That Was Us,” take a look backward, sketching a picture of the archetypal small-town Saturday nights that filled Moore’s teenage years in Georgia. “Magic,” anchored by one of the anthemic, open-armed choruses of Moore’s career, is loud and lovely, and “Comeback Kid” packs its punch the opposite way: by dialing back the volume and delivering quiet praise to the underdog in all of us. Befitting an album that was largely inspired by —and written on — the road, Moore recorded Wild Ones during quick breaks in his touring schedule. He’d book one or two days of studio time, then hit the road for three months, then return to Nashville and book more sessions. Gradually, the album started to take shape. Brett James, his longtime friend and ally, co-produced the project. “We created a lot of space in this record,” Moore says proudly. “It’s not a bunch of people playing all over the place. We tracked a lot of the record with just a three-piece band. If you go to most Nashville recording sessions, there’s gonna be six or seven people in the room. But we recorded this one with less people, just to allow the fans to actually listen to what’s going on. It makes everything sound bigger.” “Big.” Perhaps that’s the best description for Wild Ones, a super-sized record inspired by the grit, grind, and glamour of the live shows that have helped make Moore a country favorite. For Moore, going big was the only option.